ProvenanceThe Baidun Collection. Purchased from the Jerusalem Local Market, 1980's. 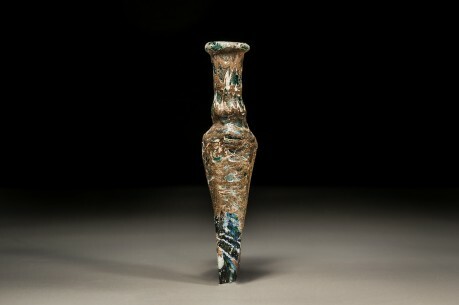 Dark green, with rich and iridescent patina. Everted rim, folded inward, cylindrical neck with a bulge, long conical body truncated at bottom. White wound spirally from rim to base, marvered into walls, and partially combed into festoons. 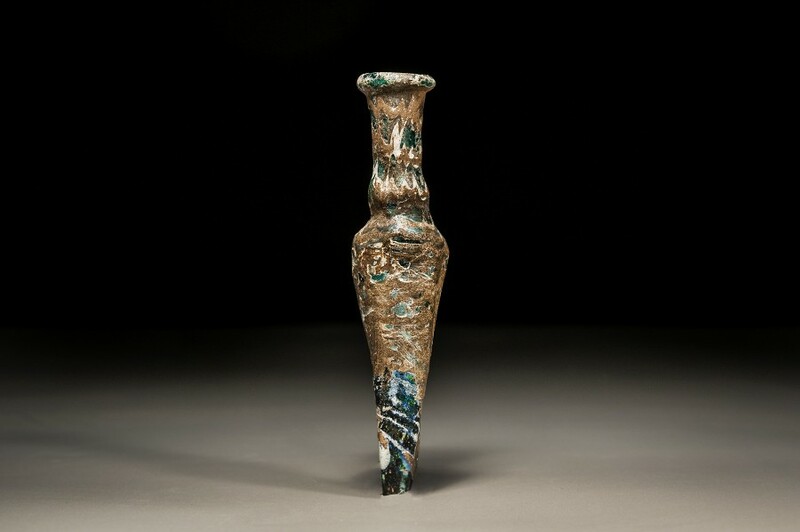 Bottle of this shape, used for kohl, are common among collections and among excavated material.